This vehicle also has air conditioning, power door locks, power steering, power windows, rear defroster, trip odometer, am/fm radio, center arm rest, beverage holder (s), anti-lock braking system, clock, cruise control and power brakes. 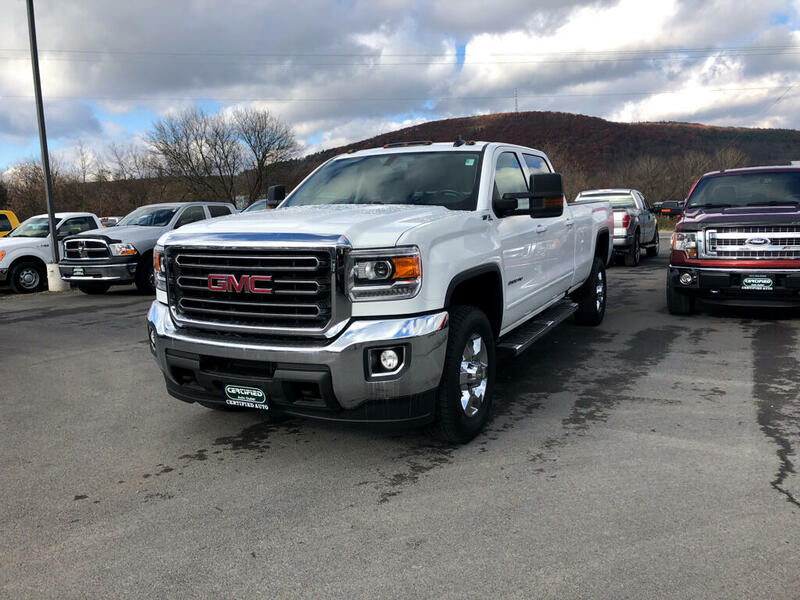 Come down today to the Certified Auto Outlet and make your deal on this 2017 GMC Sierra 2500HD SLE. Please call us at (607)433-2366 and speak to our friendly sales staff with any questions you may have! For over 20 years we've prided ourselves on customer service. Stop in today to test drive our diverse inventory, we look forward to working with you! Message: Thought you might be interested in this 2017 GMC Sierra 2500HD.